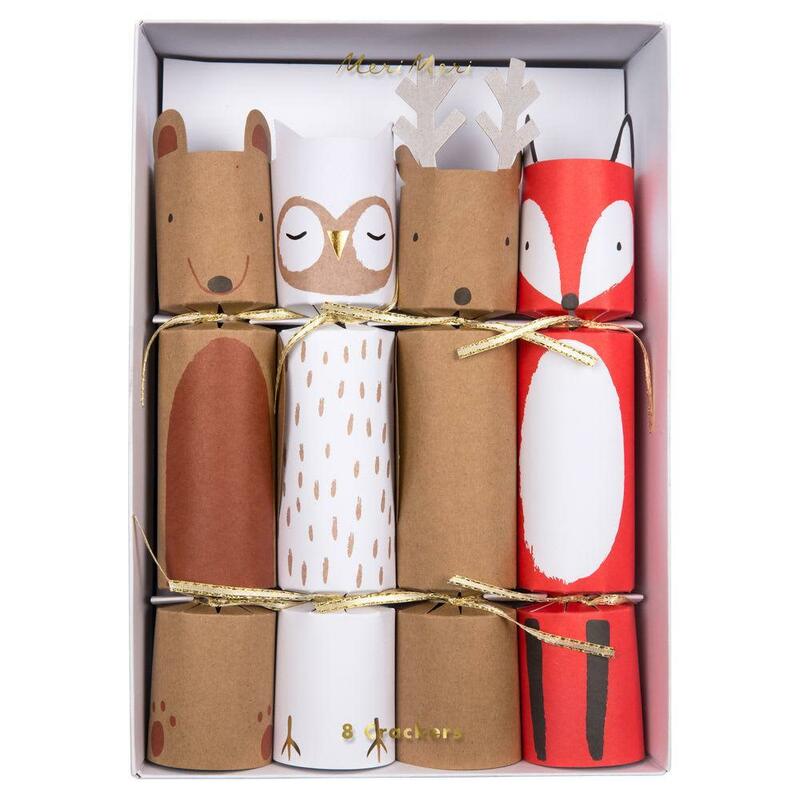 These charming woodland creature crackers will give an adorable touch to your table. Guests will also love the sweet animal keyring, hat and joke, they each contain. Pack of 8 in 4 designs. De Kinderfeestwinkel in Amsterdam, Netherlands.